Looking for a way to get the community involved? 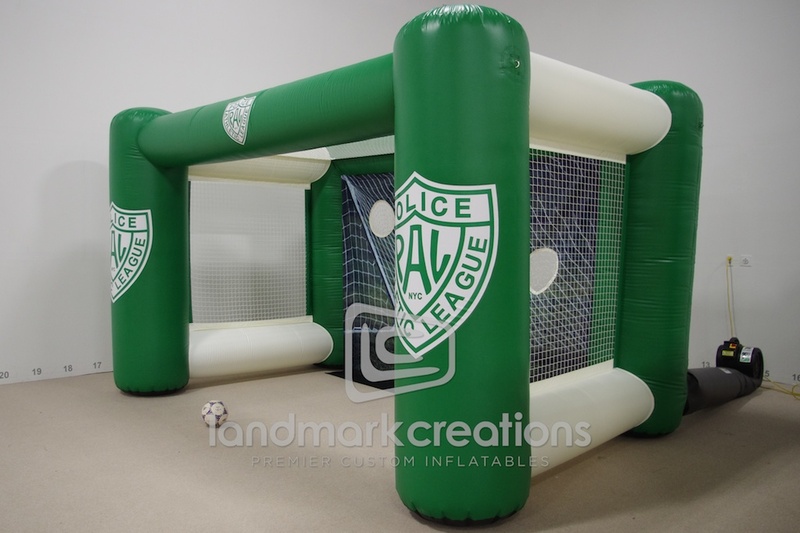 Inflate a custom sports cage at your next event! 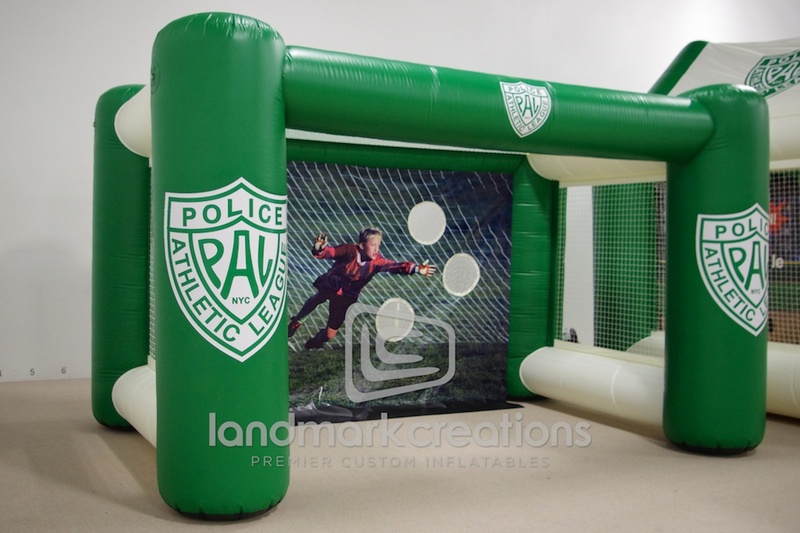 The Police Athletic League of NYC inflated this soccer kick cage at the Centennial Kick-Off Celebration to celebrate 100 years of PAL! 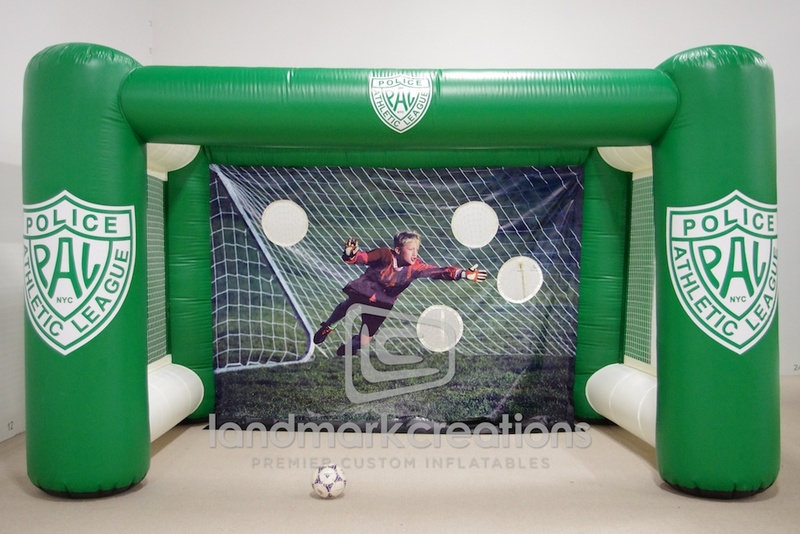 "Just wanted to say how much we LOVE our inflatables. We tested them in our lobby where they were, of course, an instant hit for school group photos. Our leadership was quite pleased with the durability and the realism."